The Kids Book Company is delighted to announce a partnership with UNICEF. Yep, that’s basically the UN for kids. Technically the ‘United Nations Children’s Emergency Fund’ they do heaps of seriously amazing stuff (that often doesn’t get the same press the UN itself does) for children, families and women in the hotspots impacted by political or environmental disasters. We’re supporting UNICEF so they can continue to do the incredible work they do both around the world and right here in Aotearoa. If you’re one of the large number of people (including one of The Kids Book Company’s three directors – he shall remain nameless) who have heard the name sure, but aren’t entirely sure what UNICEF does, here’s a beautifully written summary. (Yes, it was given to me by UNICEF – they say it better). “UNICEF believes that every child has the right to an education regardless of who they are, where they live or how much money their family has. For a girl who grows up poor in a remote rural area, staying in school and learning can protect her from child marriage and continued poverty. For a boy who lives in an urban slum, schooling instead of child labour can provide him with the skills needed for a more fulfilling job as an adult. For children in emergencies, education is lifesaving as schools give children stability and structure to help cope with the trauma they have experienced. Now – that’s worth getting behind! “When you donate to the greatest need, you’re ensuring that we can help the children that need us most, at any given time. So – how do you help? 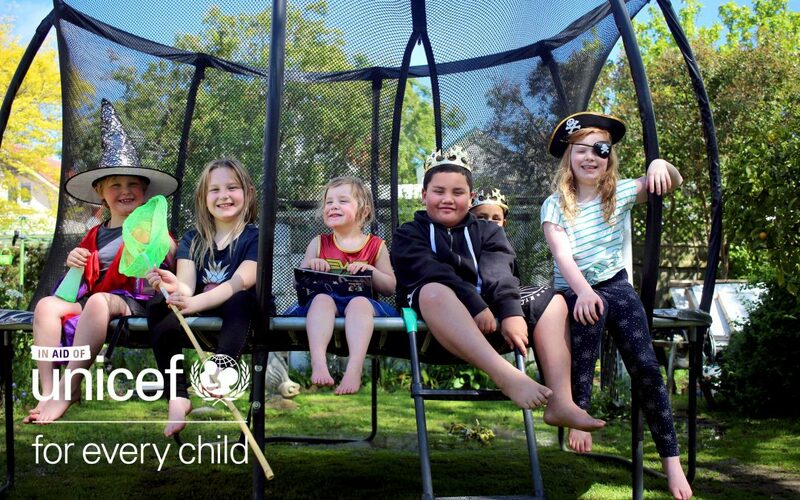 Give UNICEF a hand by simply using the code: UNICEFNZ in the cart at checkout. By doing that, we’ll donate up to 50% to UNICEF’s ‘The Greatest Need’ fund and ‘you’ll be be giving the most vulnerable children around the world the chance to survive’. Imagine a future where everyone who needs help gets a hand. Now think what it would take to make that happen…. Not a whole lot really – if we all extend our hands to help it can happen faster than we think. So, extend your hand to help UNICEF by using the code UNICEFNZ when you buy any book from The Kids Book Company. Oooh, and tell your friends. They might want to help too. P.s. You can donate directly to UNICEF’s The Greatest Need here.